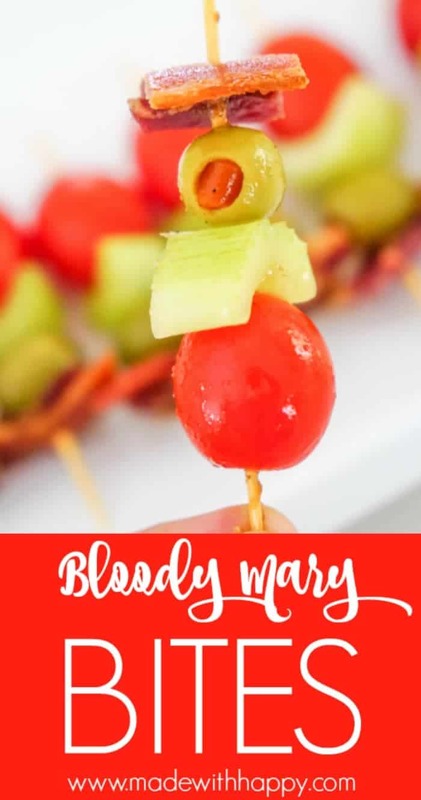 These Bloody Mary Bites are perfect appetizer for the next party! Its football season my friends, and you know what that means!!! Its time to sit down and watch the big game and eat yummy food and drink yummy drinks and have fun. Football season hasn’t always looked like that around our house. 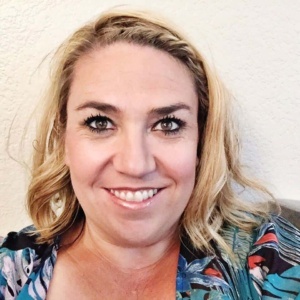 It wasn’t since our son started playing flag football that we all started to enjoy watching football. And let’s get real, when it comes to the really big game at the end of the season, I still really enjoy the commercials. 🙂 But I digress. I have been strategizing my appetizer game lately and wanted to come up with something that was delicious and fun. 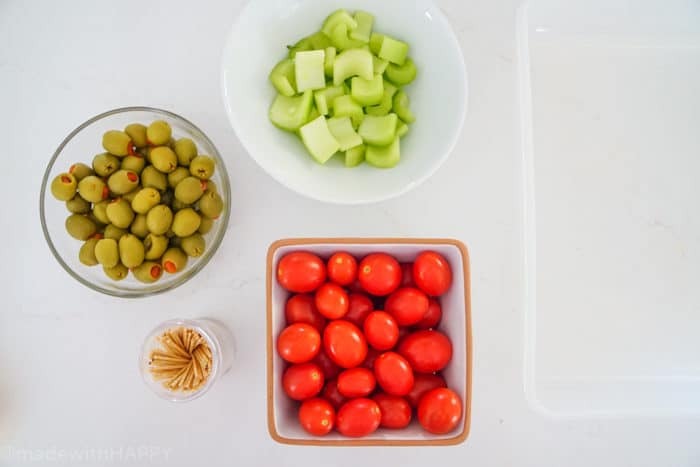 What makes an appetizer fun you might add? Well, anyone that knows me, knows I really enjoy anything on a skewer so anything on a stick. And if you can incorporate booze in it, always a plus! 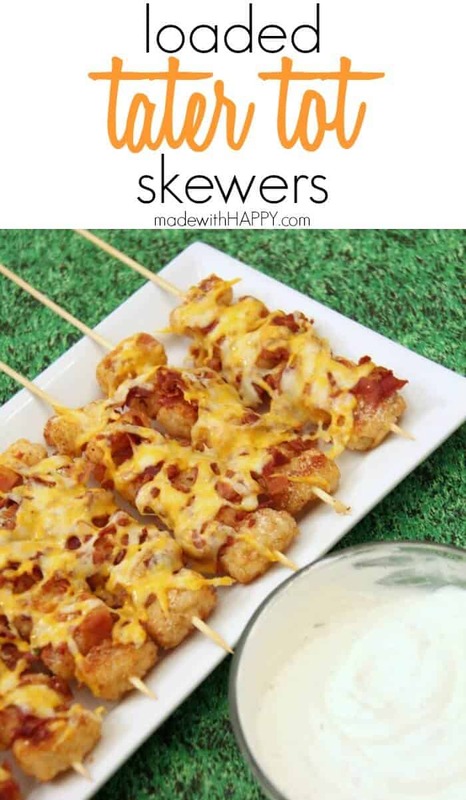 That’s when I thought, why not turn your favorite game day alcoholic drink into an appetizer. 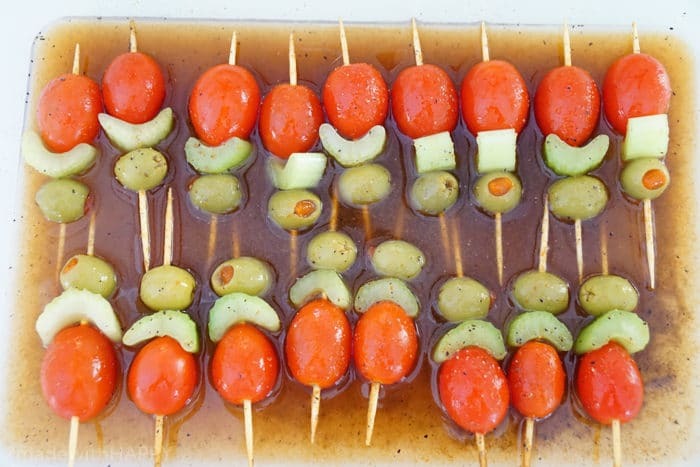 In case you didn’t catch that, there is ALCOHOL in this appetizer. So no one under 21 please, but for everyone else… ENJOY! I like to use the extra long toothpicks for this appetizer. Begin by poking a few holes around the tomato before sticking the toothpick through the tomato from one end to the next. Next add your celery and olive to your toothpick and place in a container with lid. Next using a wide mouth jar or bowl, combine the vodka, Worcestershire sauce, El Yucateco Hot Sauce, lemon, pepper and celery salt. 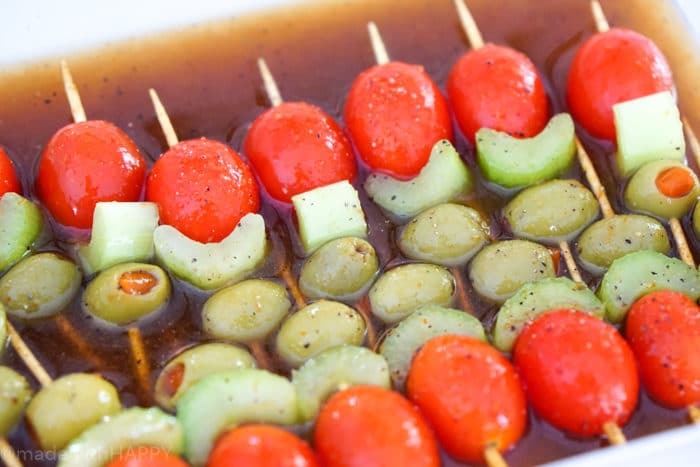 Mix well and then pour over the tomato skewers. Refrigerate for at least 2 hours or overnight. 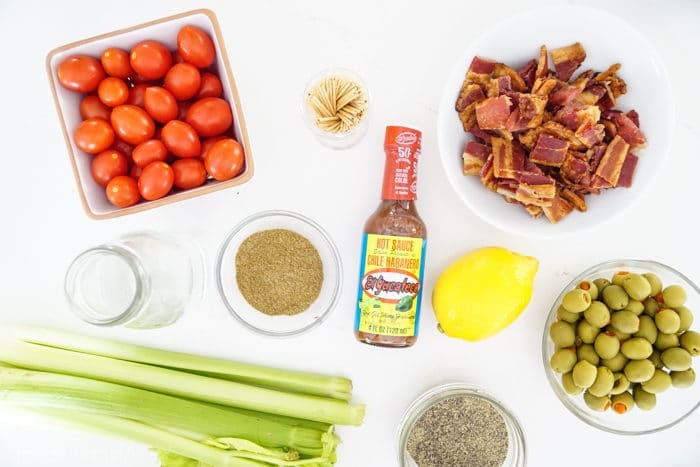 While the skewers are marinating, its time to cook your bacon. I recommend cooking your bacon till its done, but not crispy. 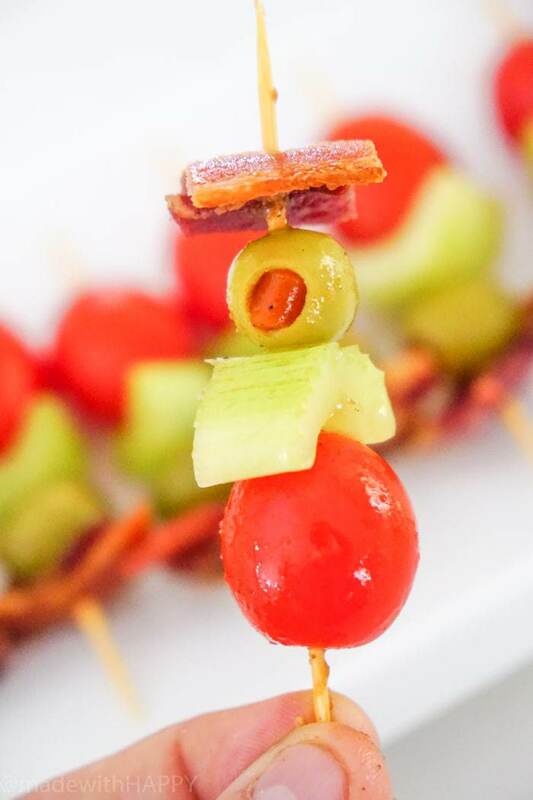 Crispy bacon won’t stay on the skewer and believe me you, the bacon makes this dish the ultimate in game day appetizers. 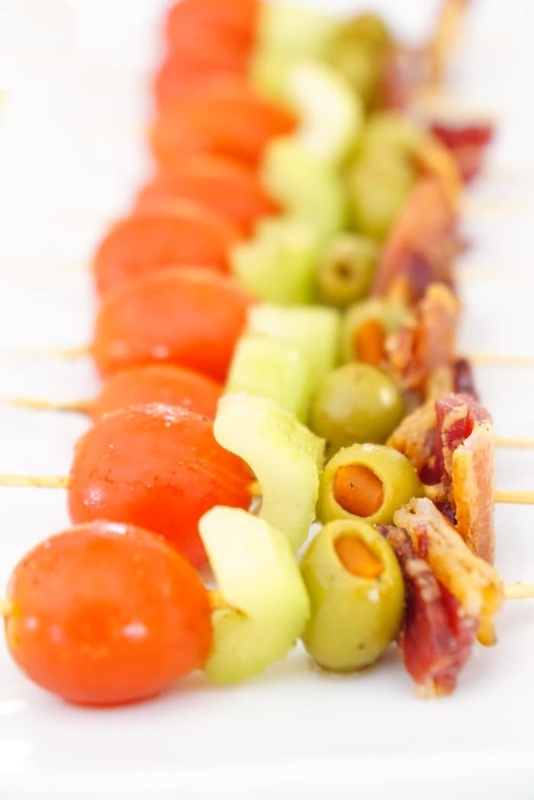 Once the skewers have marinated, skewer the bacon onto the end of the skewer and serve. For those that haven’t tried El Yucateco Hot Sauce, make sure to grab a bottle the next time you’re at Target or local grocery store. 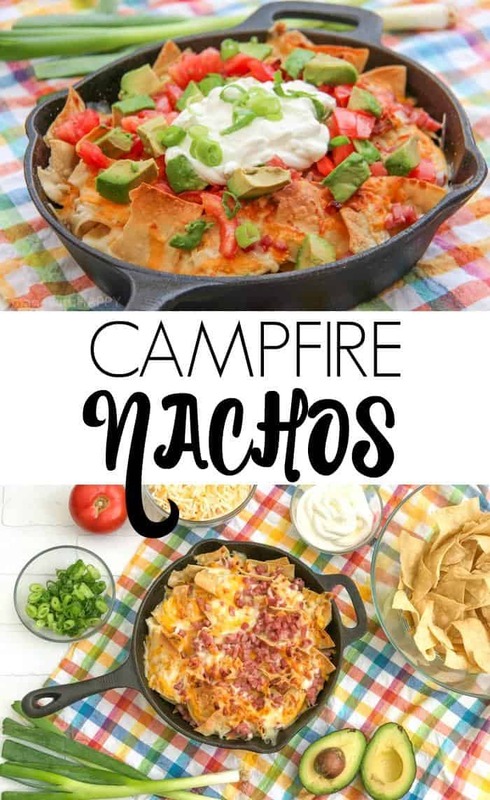 Its one of my family’s favorite because its adds just the right amount of flavor to any dish. They are also celebrating 50 years in business and there is something to be said about a business that continues to produce great quality products for that many years! 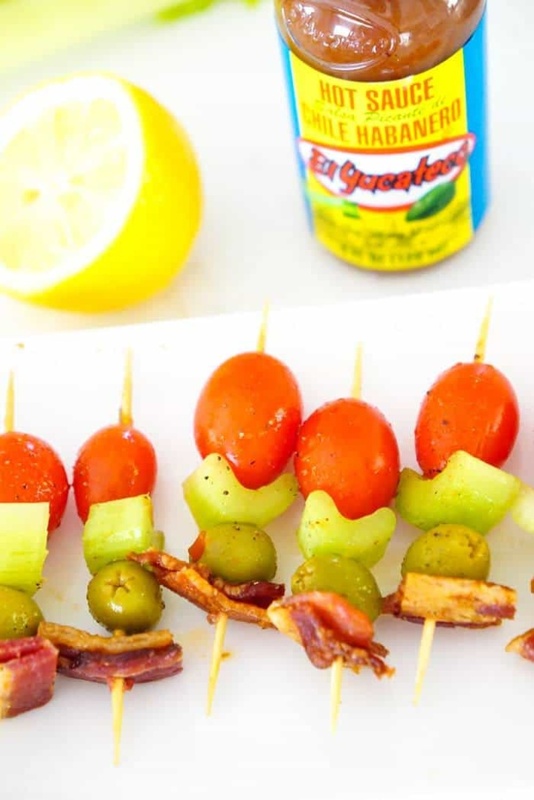 I can’t wait to hear all the cheers at your next tailgate when you bring these Bloody Mary Bites. They will for sure be the hit of the game!